Representatives from Rotary Clubs across the state of Georgia gathered on the campus of Augusta University August 26-28th to greet the 51 international students who make up this year’s class of GRSP students. District 6910 has 63 clubs sponsoring 19 students for the 2016-17 school-year (there are 73 clubs in D6910). The students are from countries as diverse as Iceland, Columbia, Lebanon, and Pakistan, as well as the numerous European countries we see represented each year. The conclave allowed the students time to get to know each other and offered them a chance to meet the officers, directors, trustees, staff and host families who do the work that makes the whole GRSP experience possible. Our District Governor, Kim Waters, greeted the students and let them know how much she looks forward to seeing them at the District Conference in October. Every year the highlight of the Conclave is the Student Cabaret that takes place on Saturday night. This year the Student Cabaret featured a theme of “Peace” through music, dance and the spoken word. The GRSP students had just 41/2 hours to put this show together and what a show it was. Many of the students were dressed in their native clothing as they performed songs and dances from their home countries. The show was topped off by a group musical performance of such songs as, All You Need Is Love and What a Wonderful World. 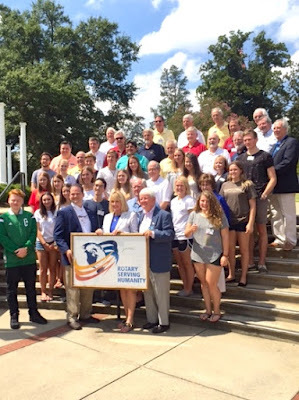 The students left Augusta on Sunday fully committed to helping the Rotary Clubs of Georgia spread peace through understanding as they spend this academic year on college campuses across our state. 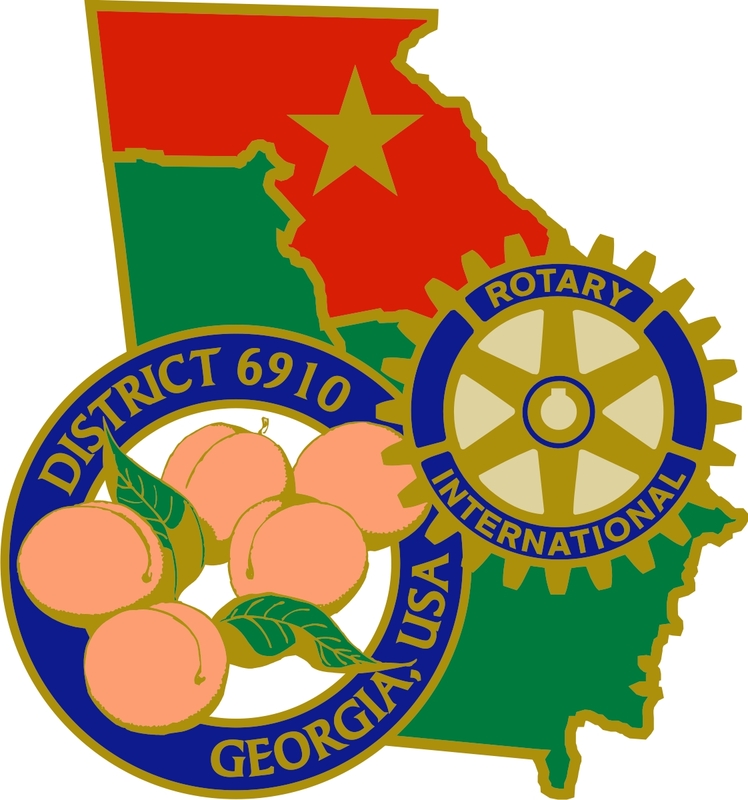 The Georgia Rotary Student Program (GRSP) students will gather for their first club sponsored weekend on September 9, 2016, for the Maynard Knestrick Memorial Weekend sponsored by the Clayton County Club. This will be the first of five big student weekends planned for the 2016-17 school-year. In addition, all of the GRSP students from District 6910 will be attending the District Conference in October. I encourage you to attend the conference and take the time to meet our GRSP students. They are fine ambassadors for their countries and we hope when they return to their home countries next year that they will become fine ambassadors for the state of Georgia and the spirit of Rotary International around the world. GRSP Students of District 6910 with trustees; GRSP Vice-Chair Bert Guy, District Governor Kim Waters and GRSP Chair Terry Gordon at front.